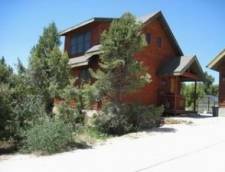 Stone Canyon Inn offers cabins, bungalows and a private guest house for guests to choose from. One of the nicest lodging properties in the area. 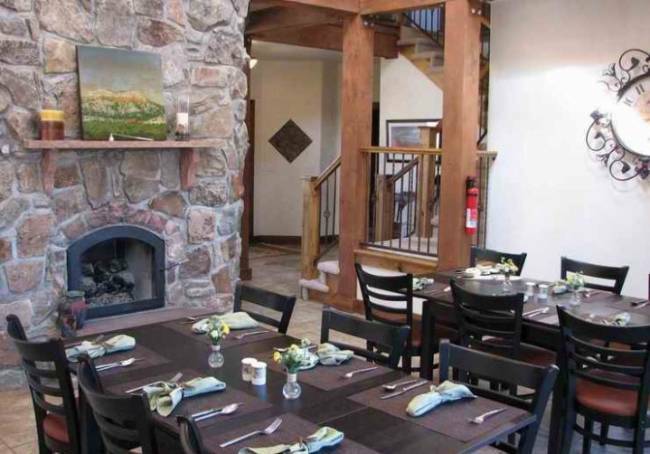 The Stone Canyon Inn is much more than just a place to lay your head. 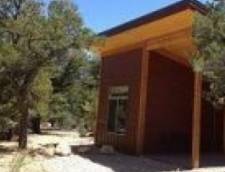 This family owned and operated inn offers unique lodging accommodations in a private setting that borders Bryce Canyon National Park. The views from here are outstanding! 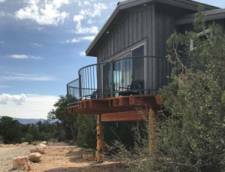 From the large deck, you can enjoy a riveting Utah sunrise over Bryce Canyon National Park while enjoying a delicious breakfast prepared fresh each day. In the evenings, as the sun sets, it illuminates Bryce's 'Powell Point,' a 10,000-foot plateau located just across the valley from Stone Canyon Inn... truly a spectacular scene to behold. 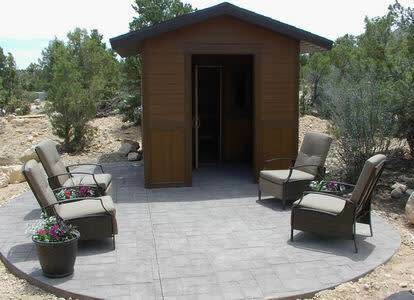 And when the sun has disappeared from the sky for the evening, the Stone Canyon Inn provides some of the best star-gazing opportunities you will find anywhere. Enjoy a night-cap or some evening dessert from the restaurant on the back deck and take in the millions of twinkling stars overhead. These accommodations are great for larger families or a smaller group that would like extra space. 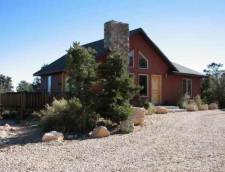 These Cabins/Cottages offer beautiful views of Bristlecone Ridge and Powell Point plus they include two bedrooms and two bathrooms. 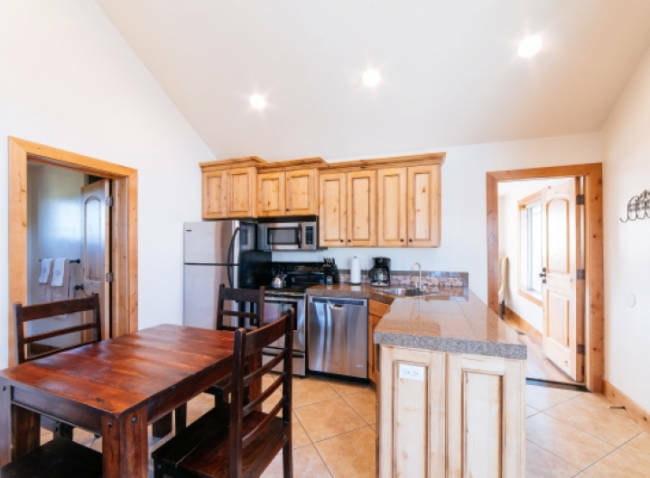 All accommodations have a full kitchen, living room with sofa sleeper, private deck, and a hot tub. 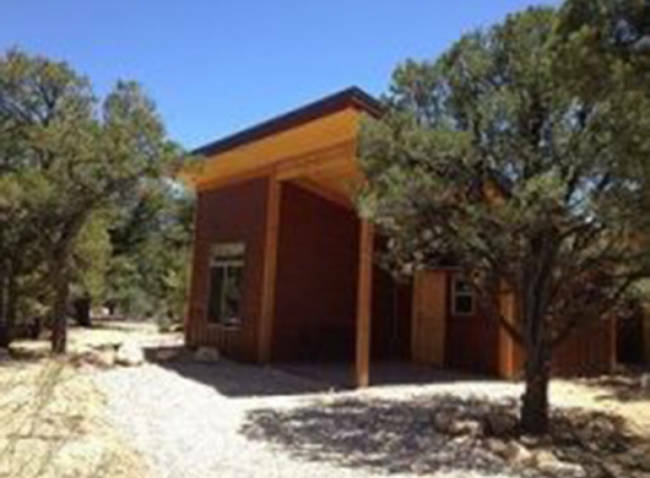 These Cabins/Cottages will sleep up to six people. Two adults in each bedroom and two children on the sofa bed. 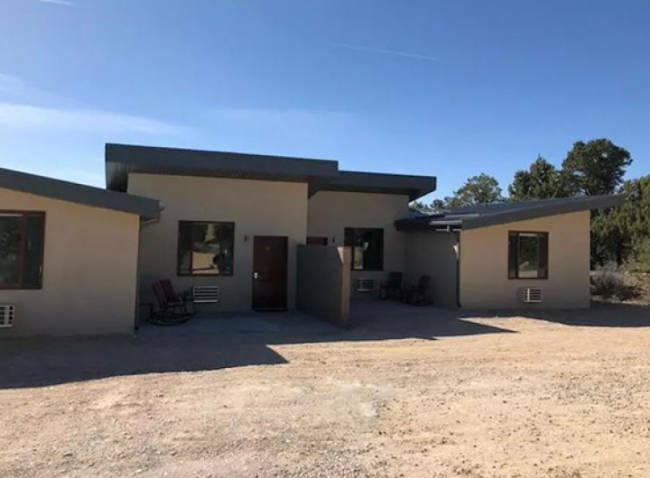 These private stand-alone bungalow units offer one king bed, a living room with a fireplace and a private bathroom. 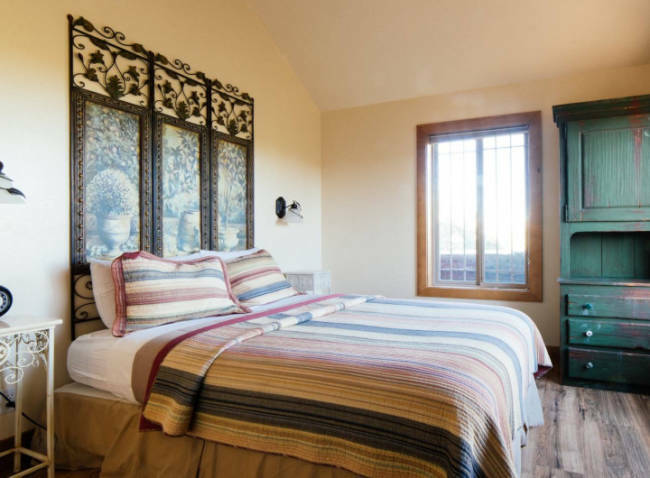 The Guest House is a spacious two story house located not far from the Inn. 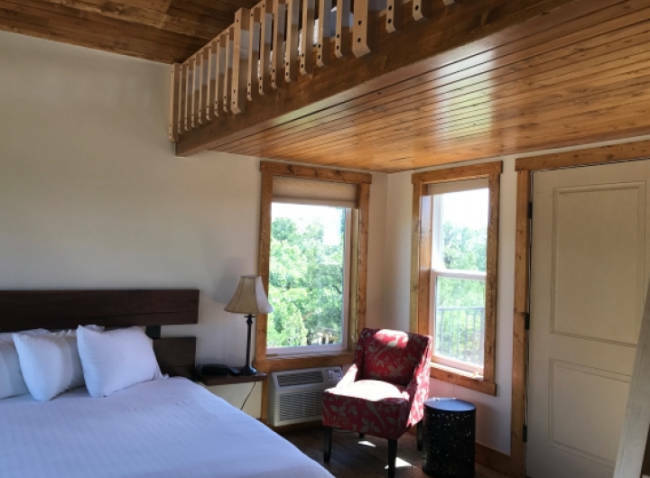 The guest house will accommodate up to 4 guest with a king bed in the master bedroom and a queen size 'Murphy Bed' in the family room. 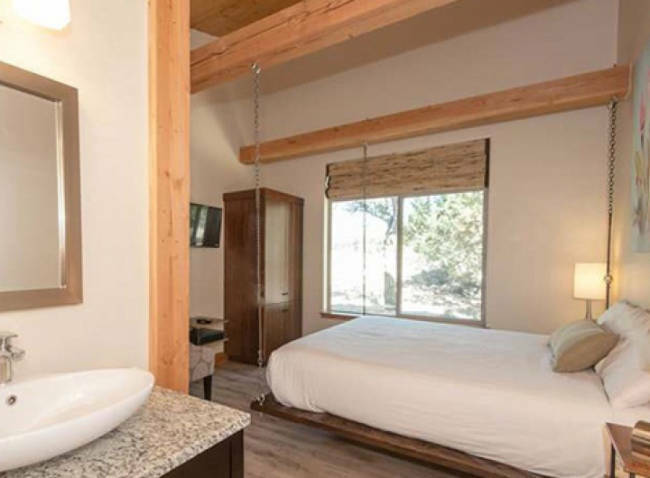 The master bedroom upstairs includes a private bath with a jacuzzi tub. There is also a second bathroom downstairs with a tiled shower. 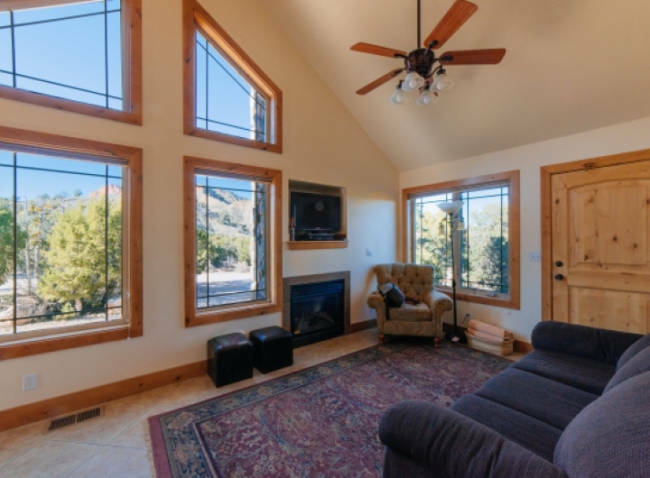 The main level includes a large family room with electric fireplace, comfortable sofas and a full kitchen. There is also a washer and dryer located on the main level for doing laundry. The Guest House is a spacious two-story house located not far from the Inn. The guest house will accommodate up to 4 guests with a king bed in the master bedroom and a queen size 'Murphy Bed' in the family room. The master bedroom upstairs includes a private bath with a jacuzzi tub. There is also a second bathroom downstairs with a tiled shower. 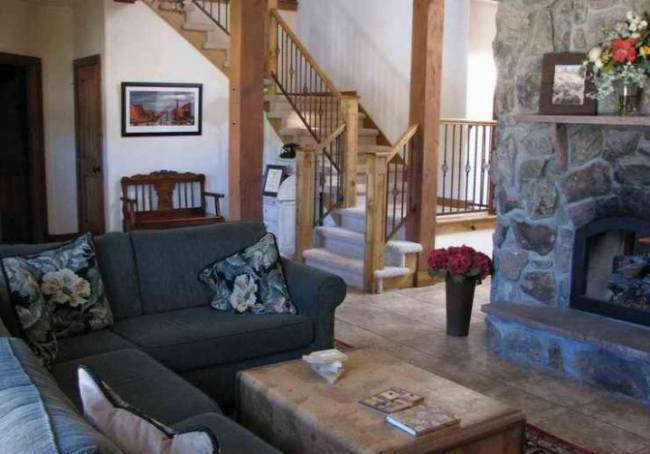 The main level includes a large family room with electric fireplace, comfortable sofas, and a full kitchen. There is also a washer and dryer located on the main level for doing laundry. 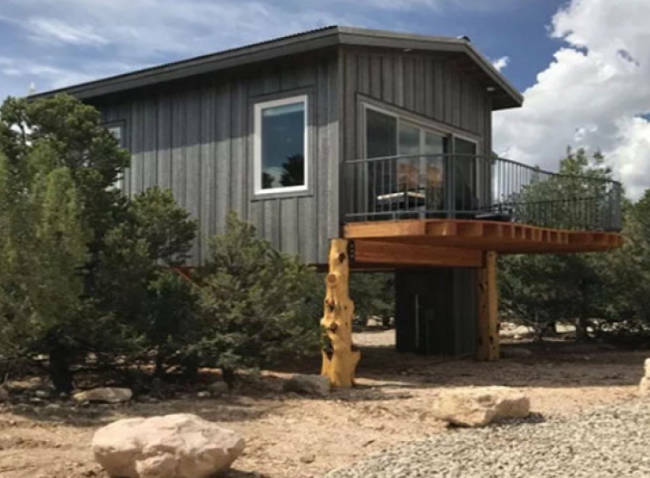 The Tree House is a new addition to the Stone Canyon Inn. 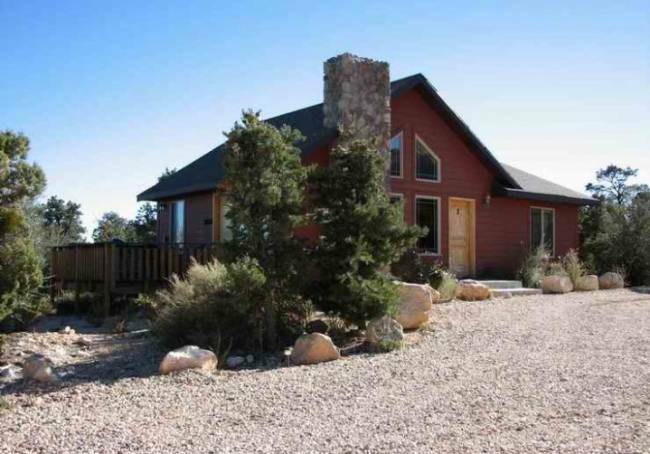 The Tree House is located up a level of stairs to give you the best view possible of Bryce Canyon. 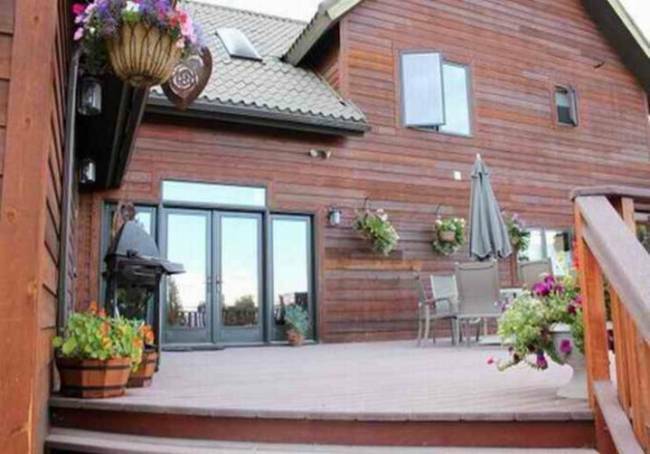 A large window and glass doors open up to the back deck with patio furniture. 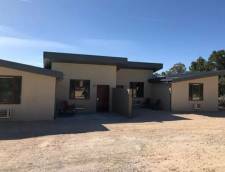 The main floor of the house has a king bed, bathroom with shower only, plus a mini refrigerator, microwave, coffee maker, sink, and a television with cable. The loft is great for children with two twin mattresses. The Deluxe King Rooms were newly built in 2018. 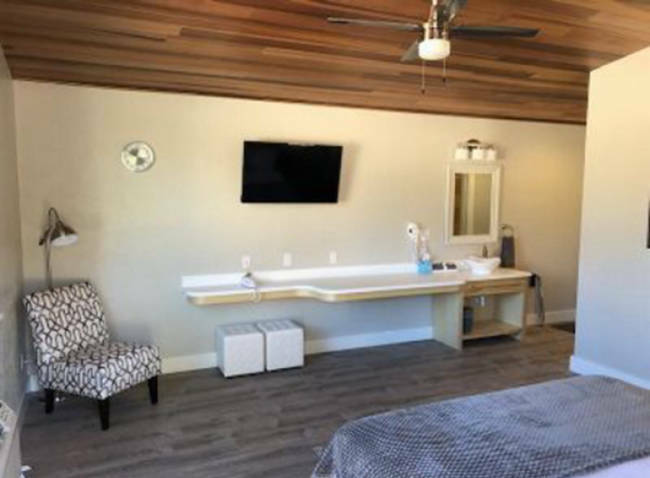 They are recommended for adults only and feature one king bed, private bathroom with shower and tub, a partial kitchenette offering a mini refrigerator, coffee maker, microwave, and toaster. 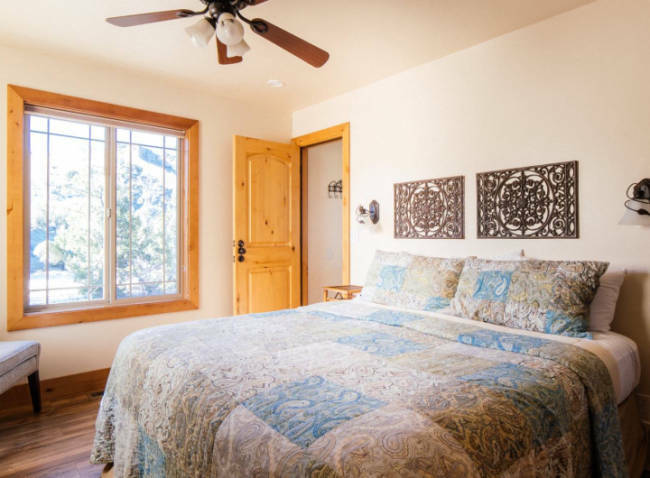 Each room comes complete with air conditioning, WiFi, television and a private patio with chairs. Your credit card will be charged for the first night as a deposit. There is a 14 day advanced notice cancellation policy. If you cancel your reservation any time between now and fourteen days prior to your arrival date, there is a $25.00 fee. If you cancel less than fourteen days prior to your arrival date, you will be charged the balance of your entire reservation. This includes choosing to shorten your stay once you arrive. Trip Insurance is highly recommended. It is an inexpensive way to have peace of mind. Please Note: Reservations holding three or more rooms, or two or more cabins, require a 30 day advance notice to cancel or change, to avoid being billed for the entire reservation. No Pets allowed on premises. Violation of the pet policy will result in a fee of $200.00. Rates are subject to change or increase depending on availability and season. 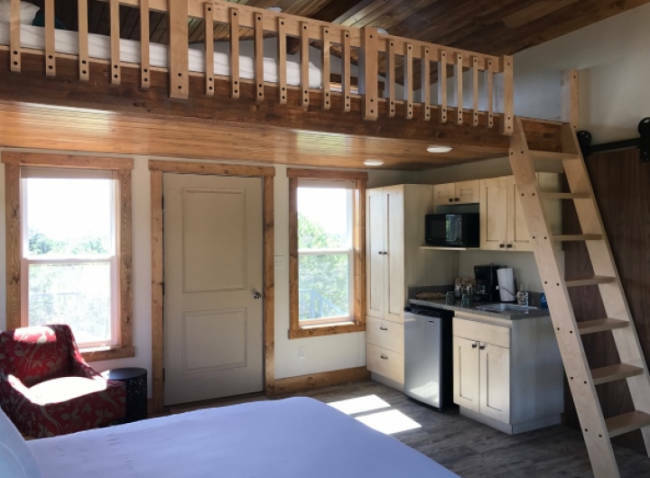 Damage Policy: If renting a cabin, you agree to pay the following additional charges if applicable: A $50.00 fee if dishes, pots and utensils are left unwashed. Dishes may be put in dishwasher and started. You do not need to empty the dishwasher. $100 excess cleaning fee if the cabin is left in an abnormally dirty/trashed condition. A drain/refill fee of $200 for the contamination of a hot tub with a foreign substance such as shampoo, food or drink. Smoking Policy: This is a non-smoking property. If there is damage or smoking in the cabins, there will be a min. of $200.00 fee. Check In: Time between 3:00-8:00 PM. Please notify the front desk clerk if arriving later than this time so arrangements can be made. Check Out: Ends at 11:00 AM No children under six in the Inn. Children are welcome in the cabins.